Retired coal miner Jimmy Smith takes a break while chopping firewood in Totz, Kentucky. Photo credit: Luke Sharrett/Bloomberg. EPA’s Clean Power Plan isn’t so much a “War on Coal,” as it is a war on coal workers. Sam Batkins at the American Action Forum is doing a deep read on EPA’s carbon regulations. He points out that EPA expects electricity generated by coal to drop by nearly half—48%--from 336 gigawatts in 2012 to 174 GW in 2030. Because of this, as many as 34,000 jobs will be lost by 2030. Incredibly, for the proposed rule, EPA claimed it would support 78,800 new jobs for “demand-side energy efficiency.” The agency has now partially cut the building block that supported that demand side growth, yet EPA still projects 83,300 more energy efficiency jobs because of the rule. Because of previous EPA regulation states in the Midwest and Mid-Atlantic have already witnessed thousands of coal-realted jobs cut. “Combine coal extraction losses with coal generation declines nationwide and the coal industry has lost more than 47,500 jobs already, with the promise of more to come by 2030,” Batkins writes. 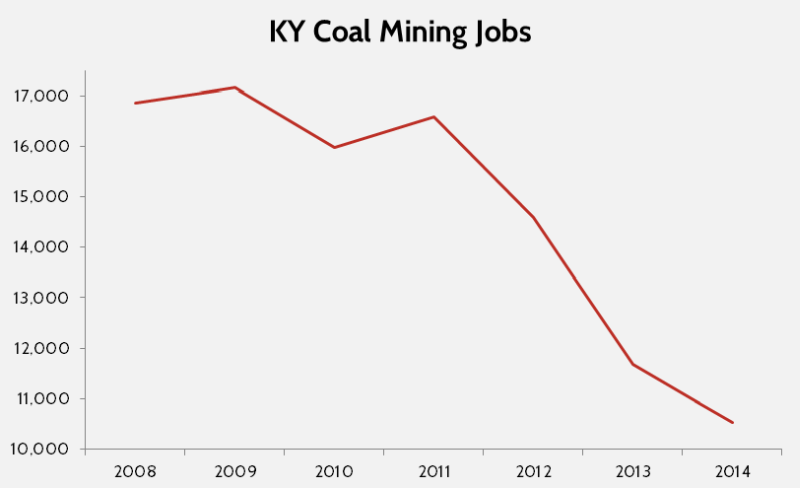 In Kentucky 37% of coal mining jobs have vanished since 2008. 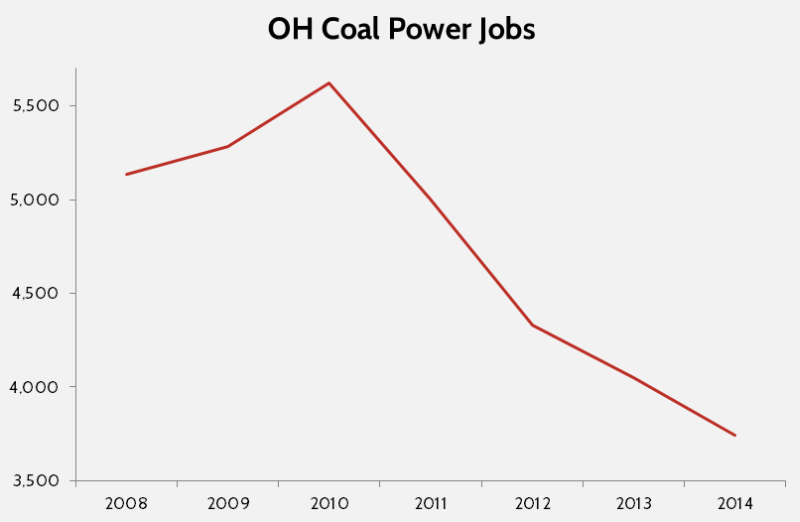 In Ohio, 1,395 coal power jobs have been lost since 2008. If EPA’s carbon regulations are fully implemented, it will be tough for anyone whose job revolves around coal.